It only took me ten years to discover that the fastest way to my husband’s heart is simply to cook more MEAT! Over the past few months, as I’ve been working on developing more quick & easy freezer friendly recipes for my family, I’ve never seen him quite so enthusiastic about dinnertime While it was a little intimidating at first, as a life-long vegetarian, to start cooking meat, I have to admit that I’ve been having a lot of fun coming up with new ideas. I am also pretty psyched about being able to maintain a whole freezer full of meals that my family absolutely loves! 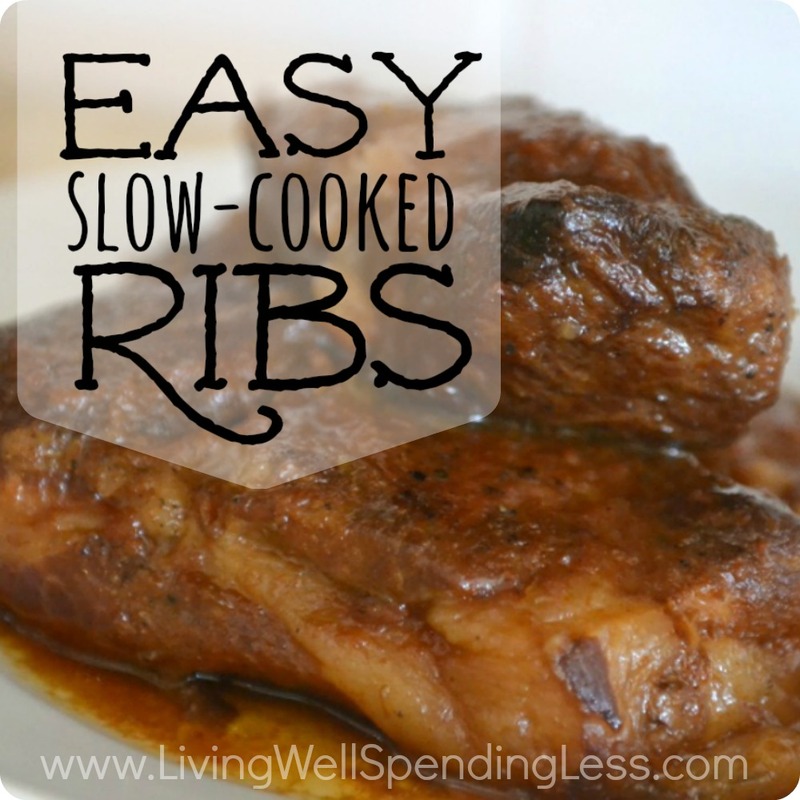 These super easy slow-cooked ribs take just five minutes of prep before throwing them in the freezer (or directly into the crockpot if not planning to freeze them ahead of time.) The liquid smoke is optional but it does add a nice dose of smokey flavor & is highly recommended. 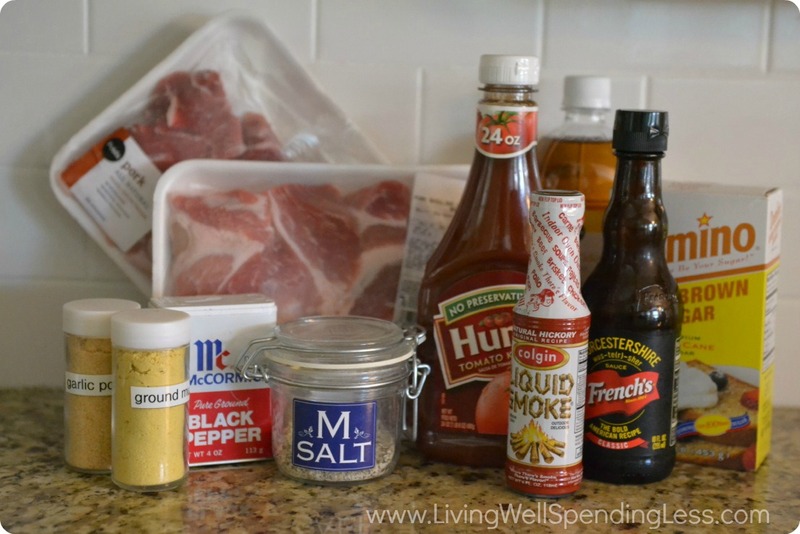 You can find it in the grocery store next to the barbecue sauce! 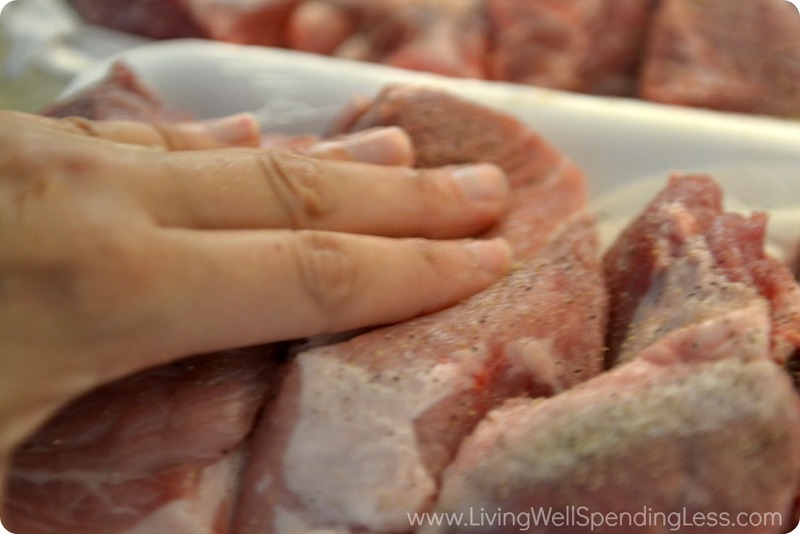 Step 1: Rub meat with salt and pepper. 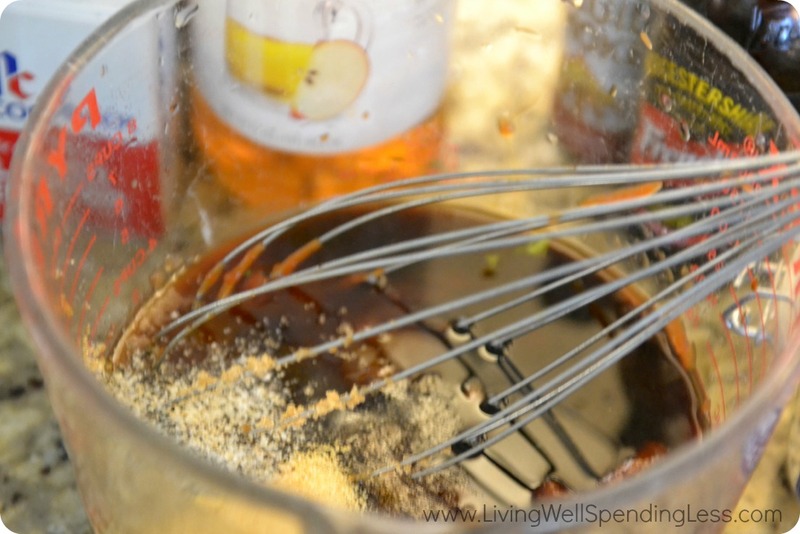 Step 2: In medium bowl, whisk together ketchup, brown sugar, Worcestershire sauce, vinegar, garlic powder, ground mustard, seasoned salt, and liquid smoke until smooth. Step 3: Divide meat into two gallon-size Ziploc bags. (Be sure to label bags before using!) 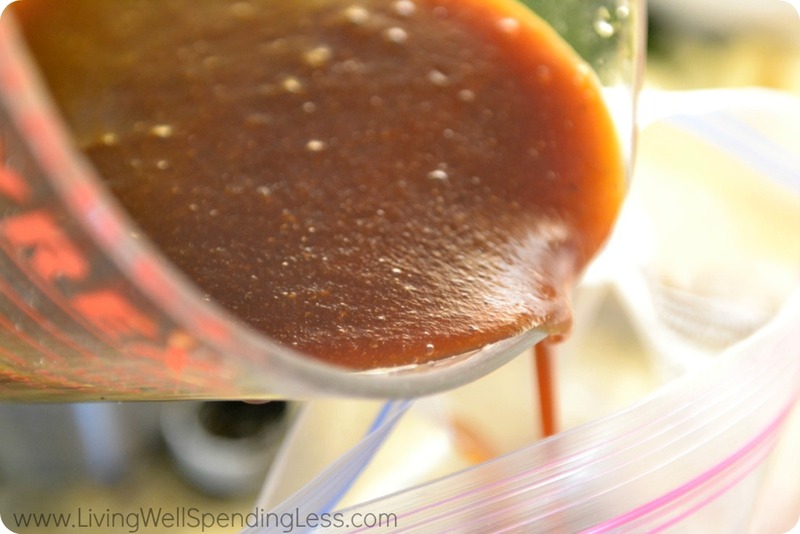 Divide sauce in half and pour over meat; freeze until needed. 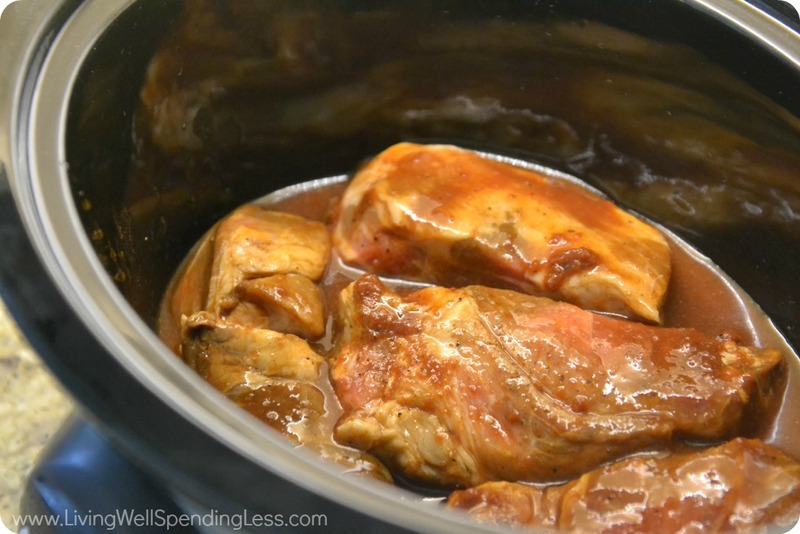 Step 4: Thaw in refrigerator for 24 hours; pour contents into slow cooker and cook on low heat for 4-6 hours. If you don’t have time to thaw them ahead of time, you can throw them in the crockpot frozen, just be sure to cook them a little longer–5-7 hours instead of 4-6. Instant Pot recipe update: Defrost this freezer meal in the fridge then place in Instant Pot for 25 minutes on high. Once time is over do a quick release and then remove the majority of the liquid then place IP on sauté for 4 minutes. Ribs are full of flavor and so tender. 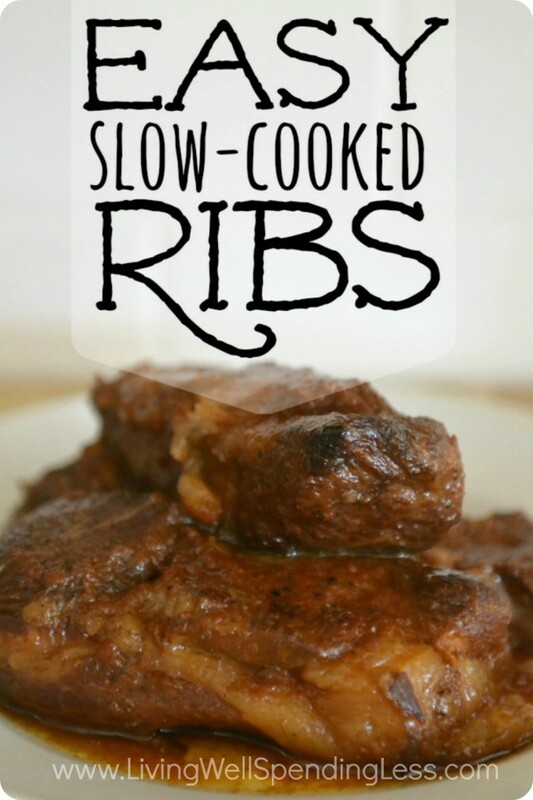 These slow-cooker freezer friendly ribs melt in your mouth and are sure to be a new family favorite! 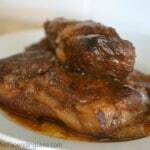 In medium bowl, whisk together ketchup, brown sugar, Worcestershire sauce, vinegar, garlic powder, ground mustard, seasoned salt, and liquid smoke until smooth. Thaw in refrigerator for 24 hours; pour contents into slow cooker and cook on low heat for 4-6 hours. If you don't have time to thaw them ahead of time, you can throw them in the crockpot frozen, just be sure to cook them a little longer--5-7 hours instead of 4-6. What’s your favorite place for ribs? this sounds delicious! and having the option to freeze beforehand? this is happening! thanks so much! Nothing says summer like grilling! I just did my first round of chicken on the grill and I promise these ribs are next!! you divided these into 2 bags..when it’s time to cook, do you cook both bags or just one? Ihis sounds delicious! You can cook one bag at a time unless you need both. We bought a cow this year and I have yet to figure out what to do with the ribs–thanks for the recipe! Looks like ribs will be on our menu soon! Favorite ribs: Franklin’s in downtown Austin, TX and Arthur Bryant’s in downtown Kansas City, MO. So sorry about your heart, Ruth. 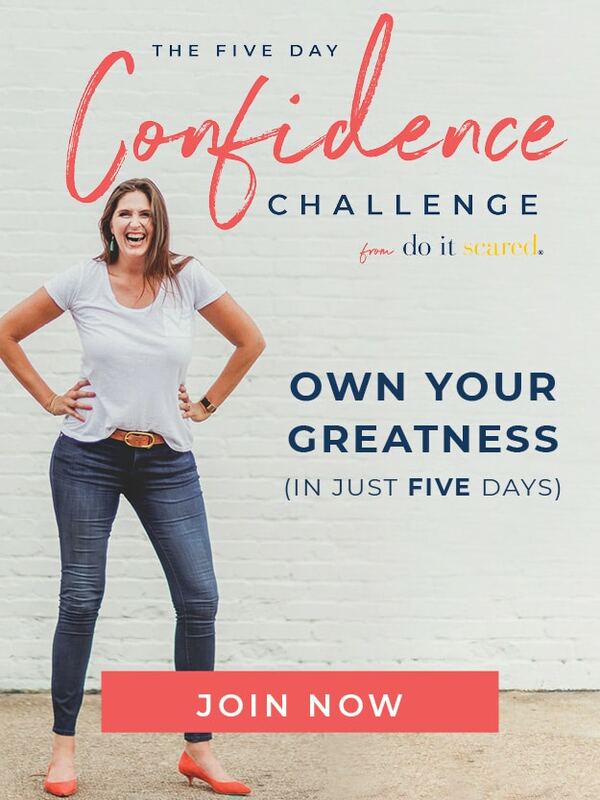 The pics look like “country style” ribs. Have you tried several types (country, spare, baby back, boneless)? If so, what does your family like best? Thanks! 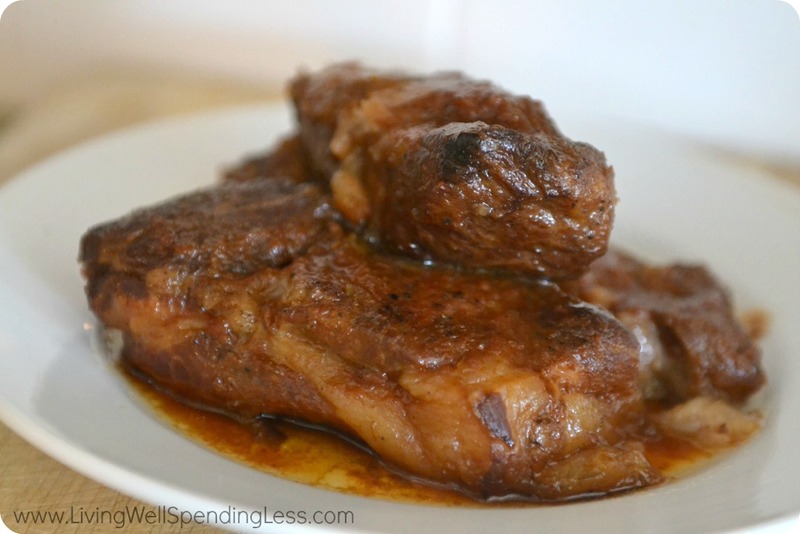 Can you use this recipe with beef bone in ribs? ?